It all started with a text “LETS GO!”. So Jesse and I took off for Dolphin Cove to fish South Bay. Conditions were good but I had made one fatal mistake. I didn’t take into consideration the direction of the wind. Winds were blowing from the North-East instead of the typical South-East. This made the paddle into South Bay easy but the paddle out brutal. 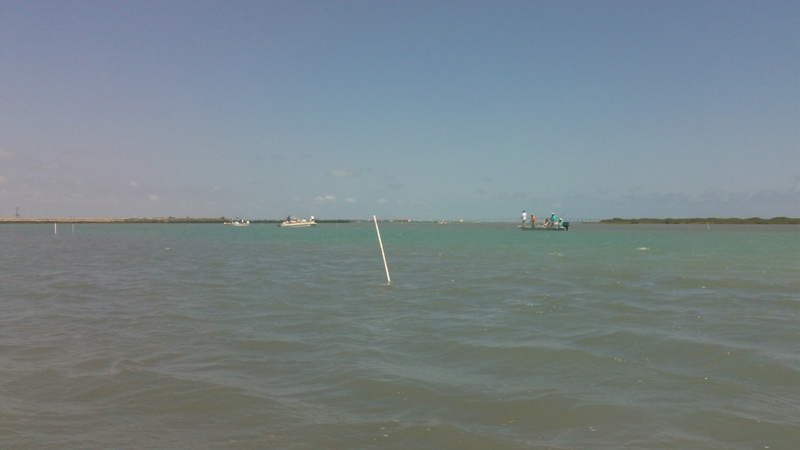 Regardless we took off to our fishing spot near the entrance of this smaller bay. We arrive to find over 30 boats in the general area of where we were going to fish. 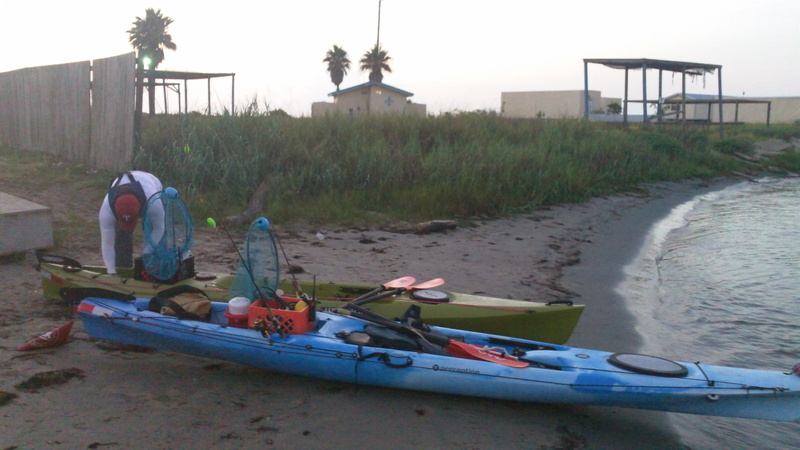 So we paddled past all the boats and started throwing plastics. We were fishing just at the edge of a shallow bar next to a small gut about 6ft deep. Jesse and I stagared our inital drifts to help us cover more water. On both of our first casts we landed fish. I knew that today was going to be a good day. 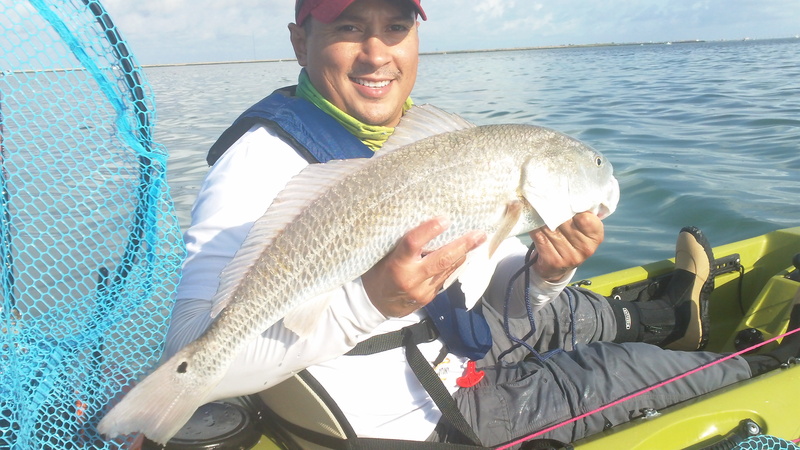 Jesse caught a 27 1/2 in 6lb Red using a Kelly Wiggler Ball Tail in Red/White color on a 1/8 oz jighead. I was throwing the same but with Purple/Chartruese. I caught a 24in 4lb Red that gave me a great fight. After that both of us landed some Mangrove Snapper and Trout. 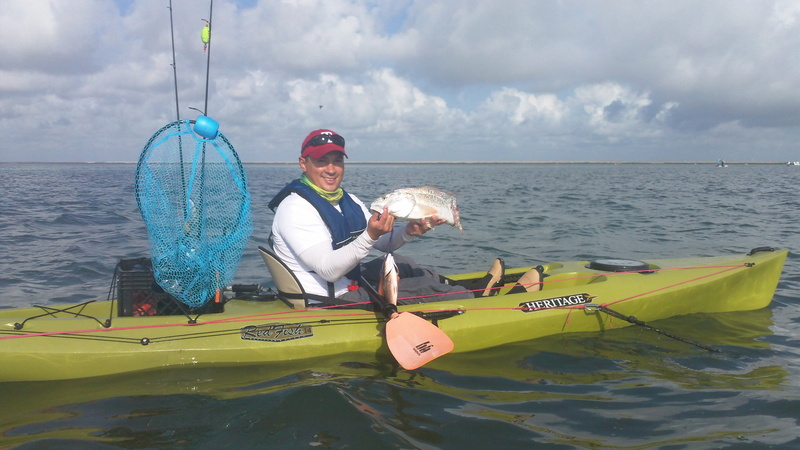 Unfortunatly for me all of my trout were under-sized with a decent one lost at the kayak due to lack of attention. With every fish we would catch more and more boats would get near us. The winds picked up to about 16mph around 12pm so we decided to head back in to the launch site. The paddle back was brutal with that NE wind in our face and then to our side as we made our way back to Dolphin Cove. 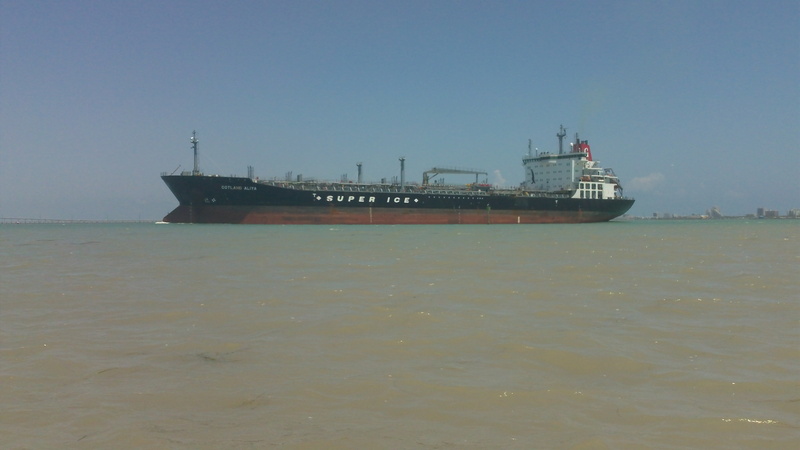 To complicate things a big tanker was entering the ship channel. This tanker was so large that the draft it had sucked all the water off the adjacent shoreline. We literally were sucked into the channel and then spit back out surfing its wake. Although this sounds fun its actually very scary with the chances of flipping over and losing all your gear or worse. We eventually made it back into the launch site just in time to see a boat slip off its trailer onto the ramp. YIKES! No photos of this but im sure you can imagine the damage it took. We ran into several of our TKF homies on the water. Kayaking is always better with friends! Fun seeing Zman,MokeyPaddler,JDeleon,Fish-Addict,Borneo and that one guy who’s kayak was called “Mimi”!